Safe ways for you to transport possums, rabbits, foxes in humane animal traps. Our company will supply the trap only, all other necessities for the baiting and capture of animals is your responsibility. Please contact me at bruce@a1pestcontrol.com.au if you would like to hire an animal trap. 2. Collect the same up to a week from the time of hire and release the possum within the boundaries of the property. They are not allowed to release the caught possum outside the boundaries of the property, but you are, providing that the possums are released in a safe location (away from cats and dogs). It is recommended that you purchase an opossum house from W.I.R.E.S. or get their advise on the best areas to re-locate them in your local area. N.B. If they return to pick up the cage and the possum is caught we release it back on your property, so it is imperative that the house is proofed so that it can’t get back in. You may need to speak to a builder about how to do this for any major work. If they release the animal, the cage hire period then ends on the same day. If there are several possums you may need to hire more cages. A builder may be needed to consult on proofing any entry points after capture. Possums usually live up in trees, but with de-forestation of urban areas, their natural homes have destroyed. 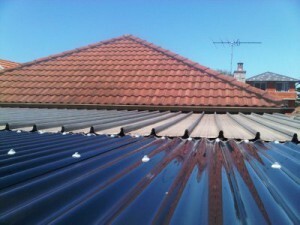 As they are highly territorial, these native fauna do not relocate easily & so they often take shelter in your roof. Follow these actions to make sure possums are removed and don’t return to your roof. Construct a weather-proof possum cubby house. Securely mount the possum house to a tree in your yard. Then place it well out of reach of domestic cats and dogs, at least 4 metres from the ground.Place half an apple or banana in or near the possum house to lure it inside. If you have any overhanging branches, trim them in order to remove the possum’s access to your roof. You can repel the possum by placing one or two boxes of mothballs or bags throughout the roof void. As possums are nocturnal, keep a light in the roof cavity & keep it switched on for at least 3 days & nights. The combined strategies of the light & the smell should keep the possum out of your roof void & into the possum house. To prevent the possum from coming back, proof the access points into your roof with timber, vermin wire or both. Don’t proof the access points unless you are absolutely certain that the possum or possums have been removed from your roof. If the above steps don’t work in deterring the possum, you may need to resort to trapping the possum. Don’t try to trap possums without a license and proper equipment. Possums are a protected species in NSW & catching possums without a current license is illegal in New South Wales. Possum Trappers need to be licensed. Licences to trap possums on your property are issued free of charge from any NPWS office. Call Bruce on 0417 251 911 or bruce@a1pestcontrol.com.au for more information on possum traps. Remember to proof the entry points into your roof, & to provide a possum house if you trap them. Most catchers know that possums once had be released within 50 metres of your property. Now the rules have changed, and they have to be releasedwithin the boundariesof your property. So you need to know that they will be safe, have a place to go and your home is sufficiently proofed so that they can’t return! The NPWS may relocate the possums into other areas, but this is only a last resort in most circumstances. Noises in the roof like scratching or thumping will annoy and even cause you to lose sleep. These are generally caused by either rats or possums. If you have rats or possums in your roof, you will need to tell professional possum trappers where and when the noises occur. The owner of the above building was advised to contact a builder to proof off entry points before releasing the animal within the boundaries of the property in a safe area. Possums naturally live in cavities of trees. They shelter there during the day and emerge to feed and explore during the night. Possums enter roof voids when their natural nesting sites have been removed, mainly through broken tiles, damages eaves and displaced roof capping. Call Bruce on 0417 251 911 or email bruce@a1pestcontrol.com.au if you have a problem with possums. N.B. It is imperative that the house is proofed so that it can’t get back in. You may need to speak to a builder about how to do this for any major work. 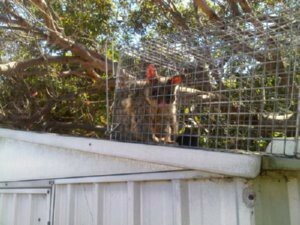 If there are several possums you may need to hire more cages.